People are pretty excited these days about foxes. but the rare Sierra red fox has been seen in Yosemite in the first time in almost 100 years. Associated Press reports that Yosemite Park wildlife biologists documented two sightings in the northern backcountry near Sonora Pass (Highway 108). Fewer than 50 are thought to be left in the wild making the Sierra red fox of California one of the rarest mammals in North America. 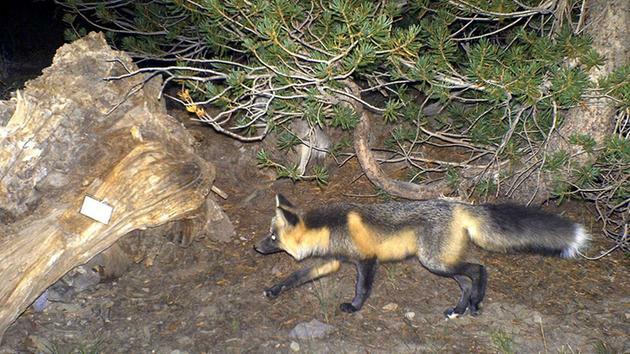 Biologists first documented foxes in the area north of Yosemite in 2010 (see photo above), and before that, in 1995. When I worked for the Forest Service hooting for spotted owls in the Tahoe area 1993 I’m pretty sure I saw one of the Sierra foxes. 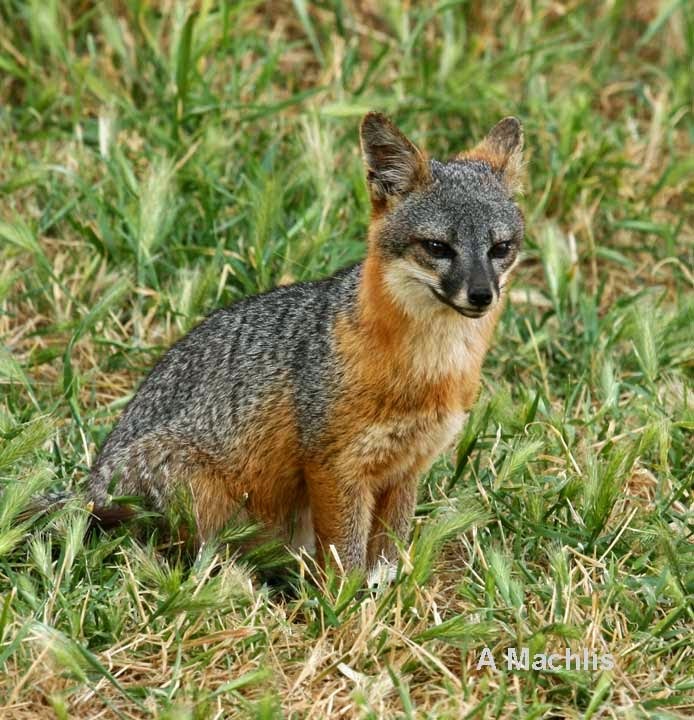 But another endangered subspecies of fox resides closer to home: on the Channel Islands, and I definitely watched Channel Island foxes at play when I stayed for ten days at the Nature Conservancy property on Santa Cruz Island back in 1987. When I was a UC Santa Cruz Natural History Field Quarter student, we stayed in some cabins there and the foxes came out to play regularly romping right in front of us. And somewhere I have slides documenting these curious, playful, and beautiful creatures! This photo is from the Island Fox website. When mammals land on islands, they tend to evolve into smaller sizes (plants on the other hand get larger!) In the case of the island fox (Urocyon littoralis), it is 15-18% smaller than its closest relative, the gray fox; in fact it’s so small your domestic house cat might be bigger. They average a foot high at the shoulder, and about two foot from nose to tip of tail. They weigh 3-6 pounds. The Island fox can be found on six of the eight Channel Islands; they differ significantly enough that they are separate sub-species. On Thursday February 5th 2015 from 7-8:30pm Friends of the Island Fox and the Sierra Club’s Jim Hines present “Island Foxes: In Their Island World” at the Community Meeting Room, Ventura City Hall, 501 Poli Street, Ventura, CA 93001. Plentiful parking is behind City Hall, and the family friendly event is free. Doors open at 6:15 so you can explore several interactive displays educational displays and compare your hand to a fox footprint, compare prints of an island fox to a gray fox or a red fox. You’ll also be able to understand how small the island fox is and see how big its predator, the golden eagle, is.